When selling your home, the key to making it happen is having a great listing agent. Coldwell Banker Innovations has knowledgeable, dedicated agents that are committed to stellar customer service. But, the agents can’t do it all. You can help your agent help you. You may have a beautifully decorated home, but it’s your home not the buyer’s. Take time to declutter and remove personalized items from your home. Go ahead start packing and put some of your belongings in storage. You want to make a great first impression and decluttering can help do that. You need to share your home’s flaws with your agent. Your listing agent is on your side and knows what must be fixed and what doesn’t. So, go ahead and share the good, the bad, and the ugly. Whatever you hide from an agent now could rear its head as a nasty surprise later. You might have to spend a few bucks to make your house look its best. You may think your home looks totally normal since you’ve lived with some of the issues for years. But, to buyers they may look like expensive repairs. So, take the time to clean the scuff marks off the walls, replace trim that is scratched up, power-wash siding and decks, etc. It is the kind of investment that will pay dividends. You may have put a lot of cash into remodeling projects, but that doesn’t guarantee a return on investment or increased value. Essentially, it depends on what kind of improvements you’ve made. The following are a few examples of remodeling projects that will add value: garage door replacement, minor kitchen remodel, replacement windows, basement remodel, and bathroom remodel. While it seems like a good idea to list high and then come down as necessary, you could be making a huge mistake. Buyers may not realize your home is overpriced but the buyer’s agent will. They may use it as an example to sell another property based on how much nicer it was for the price. Price your home right the first time. When selling your home, the goal is to make it as attractive as possible for potential buyers. People may get distracted by a dirty and messy home. They may get the sense that they will have a lot of work to do before moving in. It’s very important to keep the kitchen and bathrooms clean. They’re the rooms that dirt and grime are most noticeable to buyers. Hiring a real estate agent to list your home doesn’t mean you can sit back and watch the sale unfold. It really is a team effort. If you do your part and keep your home clean and tidy, your Realtor® can be focused on selling your home for the best price. 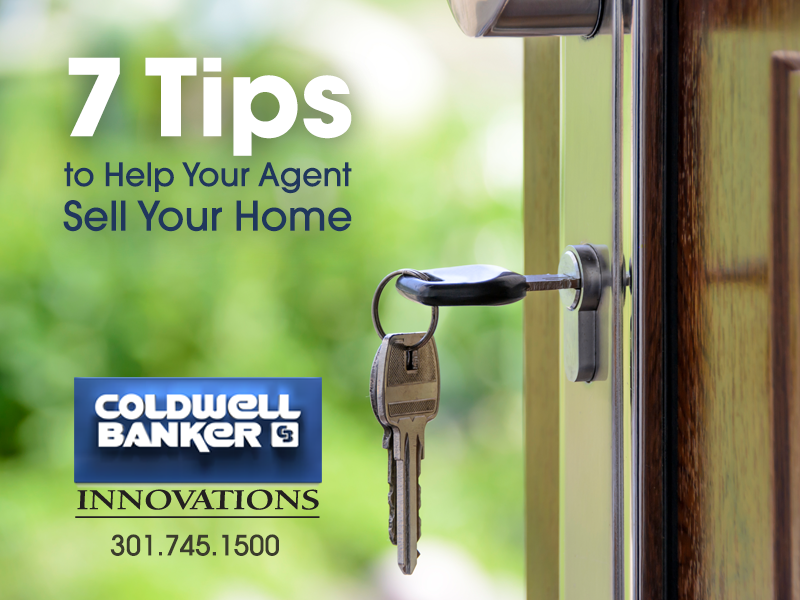 For more tips on selling your home, contact Coldwell Banker Innovations, the #1 Independently Owned Coldwell Banker Franchise since 2009. We have offices in Hagerstown, Frederick and Greencastle, PA. Our Real Estate Agents welcome and appreciate the opportunity to make your home selling process a fun and enjoyable experience. Please call 301-745-1500 or visit http://www.yourcoldwellbanker.com/.